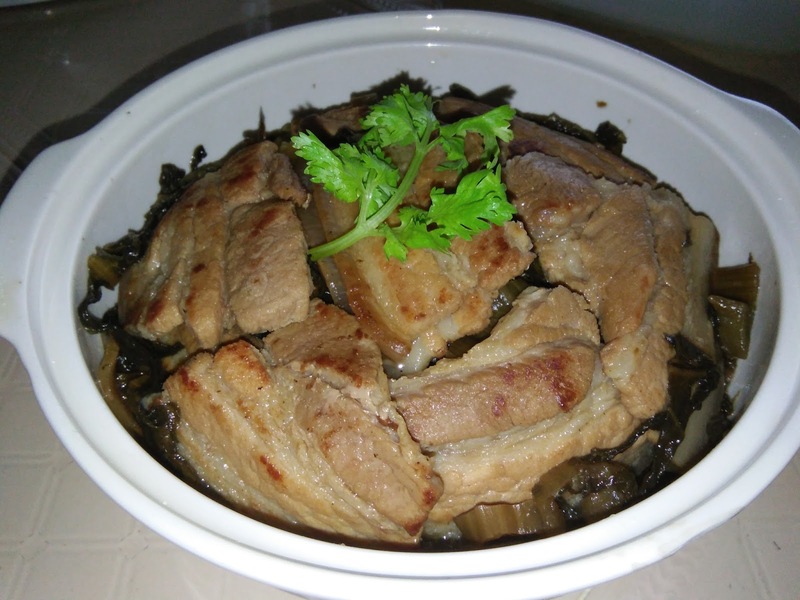 This is a very common meat and vegetable dish among Chinese families. 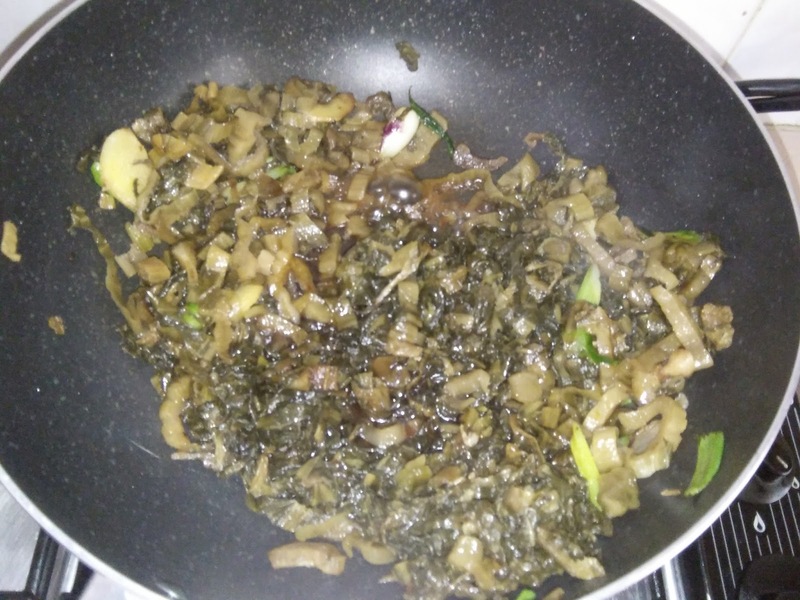 There are numerous recipes, ways to prepare this dish and the end result is usually acceptable especially when the ingredients are well cooked till tender and flavourful. 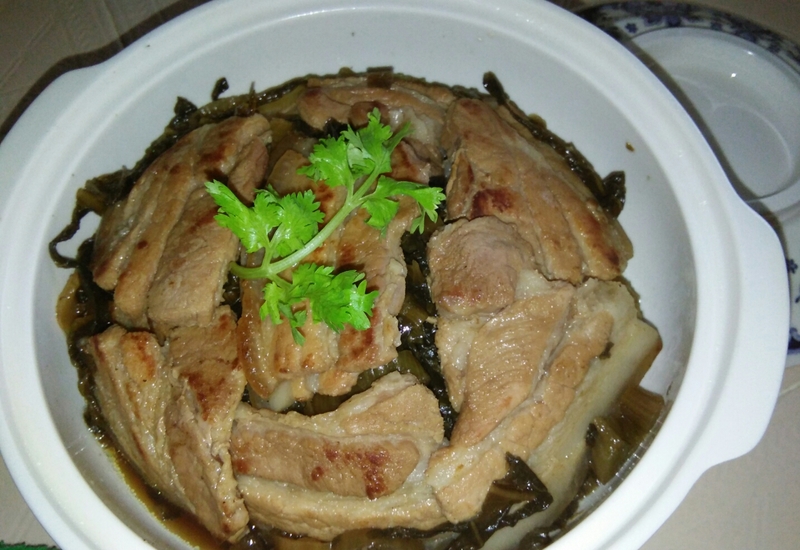 It is especially good and tasty when well steamed and after resting. Perfect with plain hot porridge or rice. 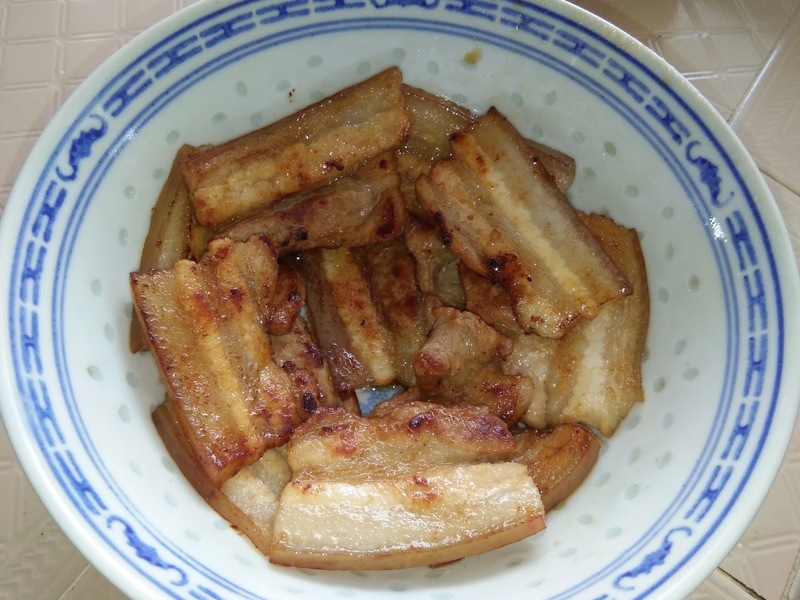 Bring some water to boil, blanch pork belly pieces for several minutes. Drain and rinsed. Season with some soy sauce. Cut soaked mei cai into thin strips. 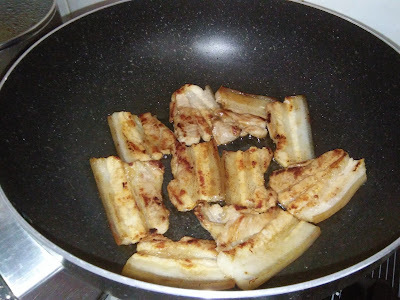 Heat oil in a non-stick wok, pan fry meat slices until slightly brown on both sides. Dish up and arrange orderly in a steaming bowl. 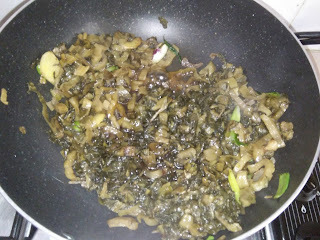 Using the same wok, saute spring onions and ginger until aromatic. Add in mei cai and fry for several minutes, then add in seasoning. Stir to mix well and pour in water. 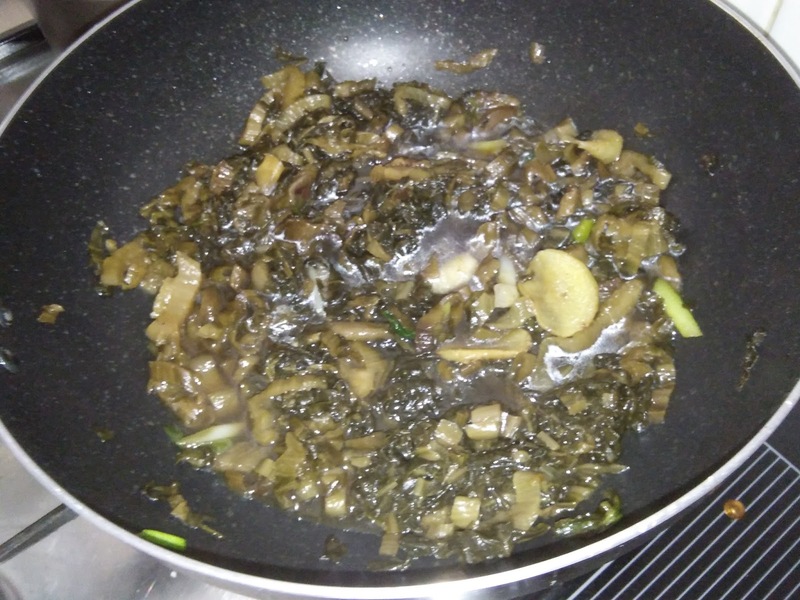 Bring to boil and simmer for 10 minutes or cook until water is slightly reduced. Pour over meat slices. Steam over high heat for at least 1 hour until ingredients are tender and fragrant. Drain gravy into a saucepan, thicken with cornstarch water. 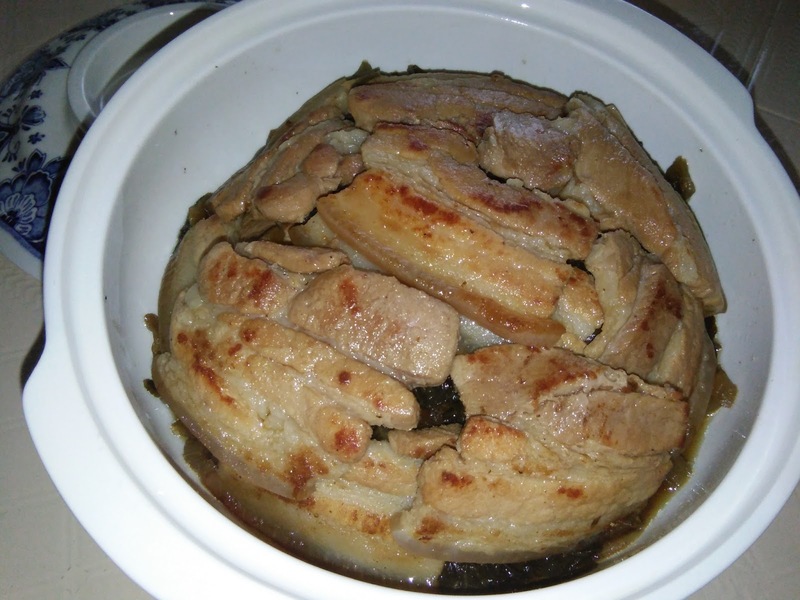 Transfer steamed meat/vegetable to a serving platter by inverting bowl. Pour sauce over it and serve hot. This dish can be reheated later before serving. Hi Kimmy! 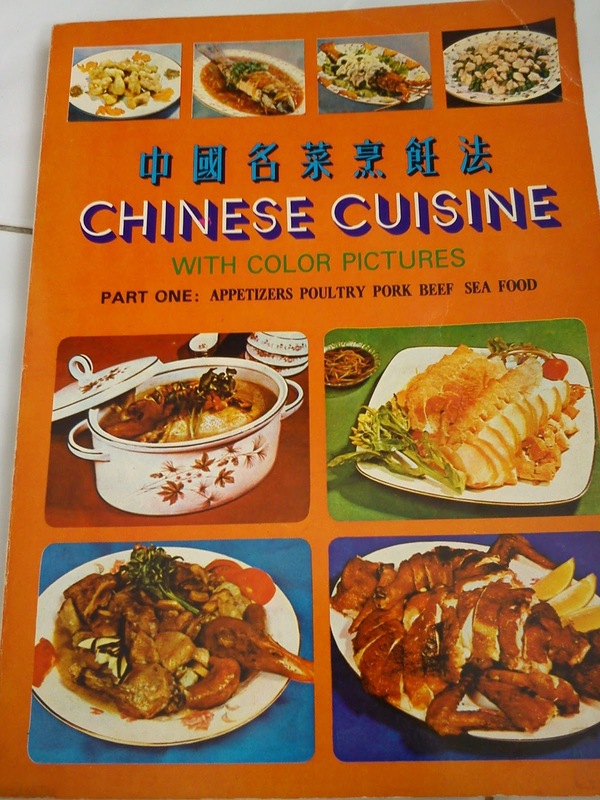 This dish may not be colorful but I know it is delicious! 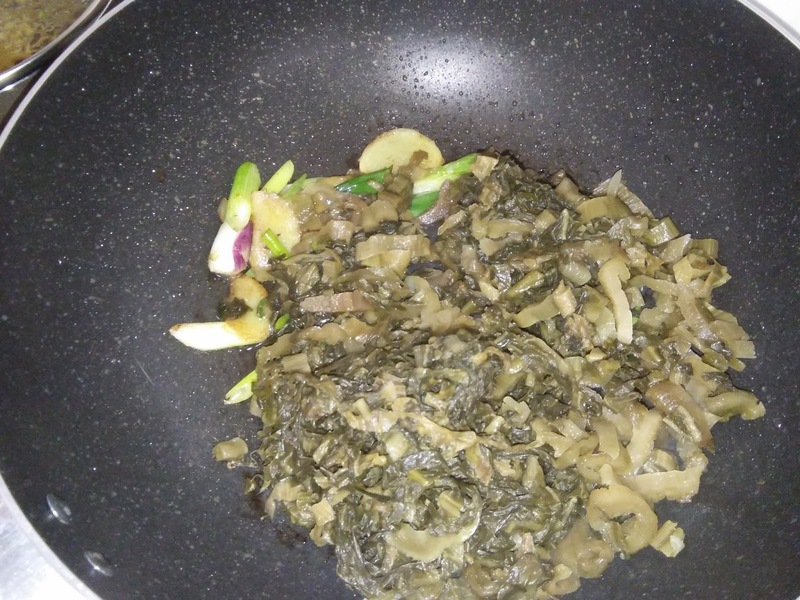 Hi Phong Hong, yes doesn't look attractive but it is always good, especially after reheating. 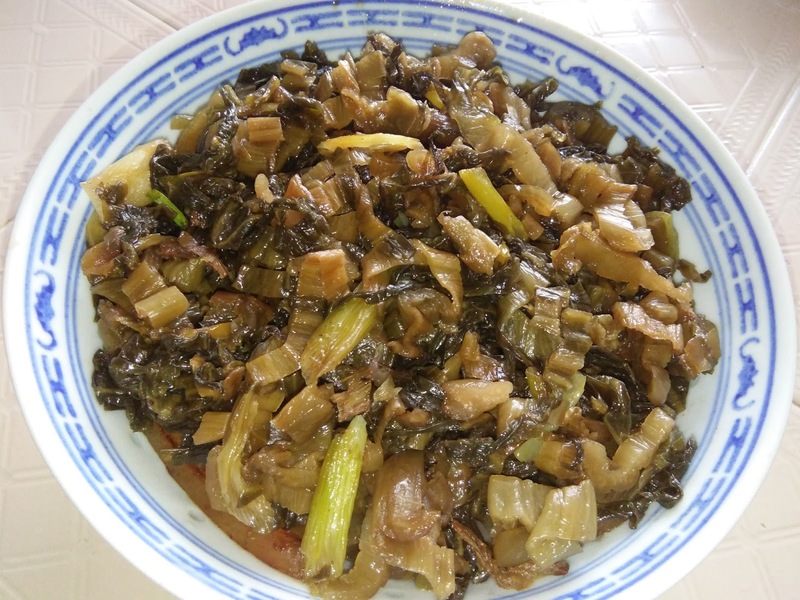 Mui choy is my favourite! 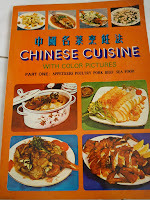 Ooh...this dish is delicious with either rice or porridge. 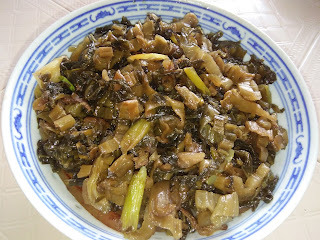 I would usually cook extra as mui choy tastes much better the next day! 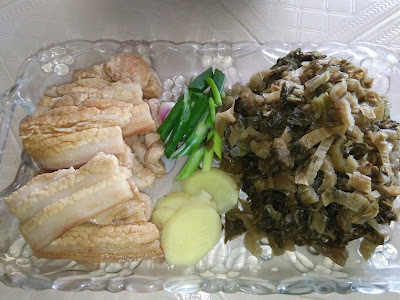 Hi Joyce, if we aren't afraid of eating too much fats, best to use the more fatty pork belly. This dish would be perfect.